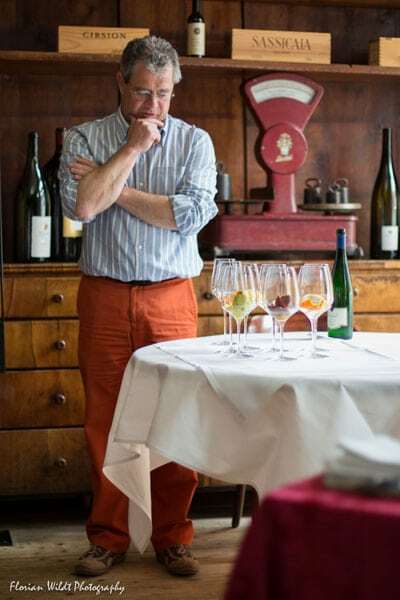 Tom Engelhardt, wine academics and self-confessed foodie has visited us on 26.02.2015. And again, it was a great night with him, a good friend of the house as our guest. I wanted to thank you again for yesterday evening. I must say, hats off with what professionalism and ease mastered the restaurant happening, is almost exemplary !! Many restaurateurs should take a class with you, so they know what we need to do to make a guest feel comfortable. Keep it up, you are a shining star in the otherwise often tried to rip off unit gastronomy. My compliments also to Karsten and the service team. Exemplary!! The Hardthaus team says “Thank you Tom” for the great compliment!